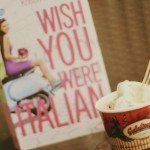 Morgan Matson visiting the Philippines a few months ago was a dream come true for a YA contemporary lover like me. Although I wasn’t actively blogging at the time and missed writing a recap post about meeting her, one of my most favorite moments was handing her a couple of quote posters that I designed for each one of her books. 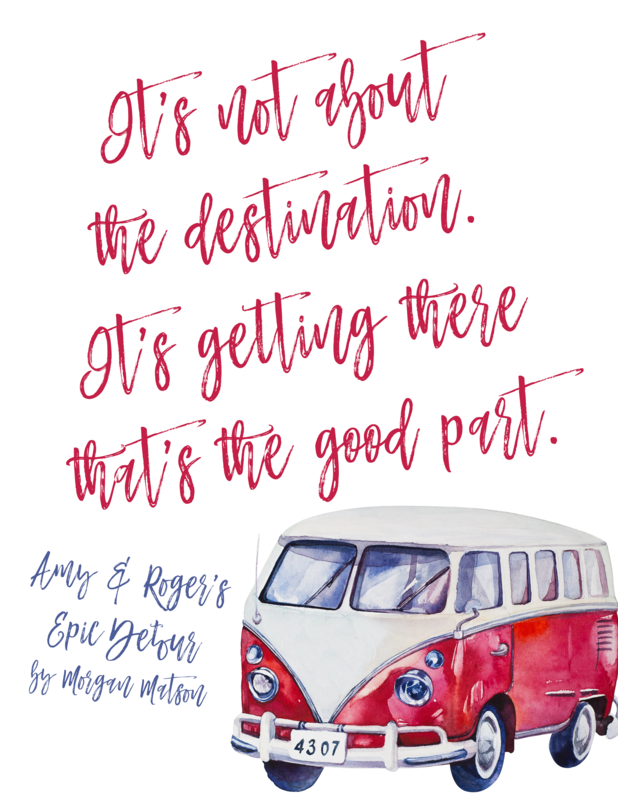 Today, I’m finally sharing these posters of the best quotes from Morgan Matson books along with an exciting signed book giveaway! Most of you must know that I love travel and road trips. So I think it’s easy to understand why this quote is precious to me! My cutesy design so does not do justice for how lovely that quote is. 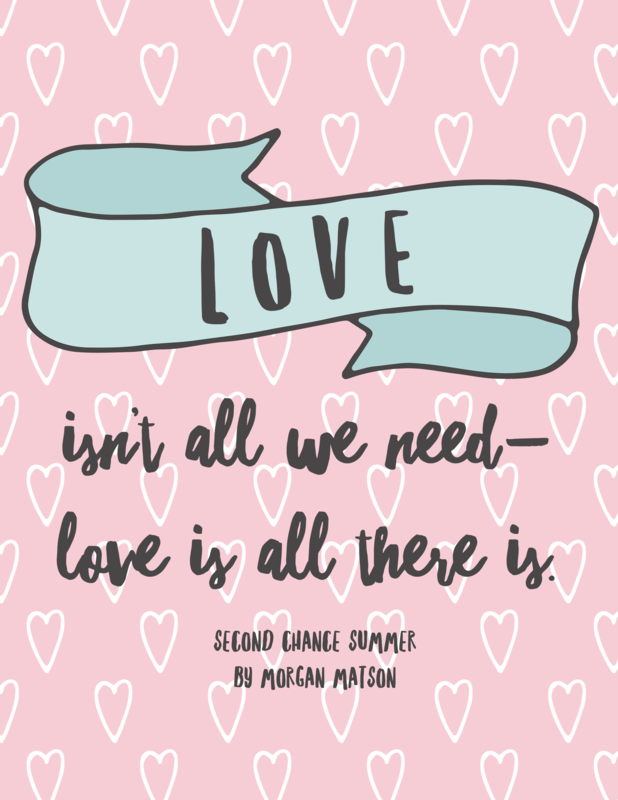 I actually shared my thoughts on Second Chance Summer here on the blog years ago so definitely check out my review if you’re interested in reading this heartening story about family and love. My breath caught in my throat. People said those kinds of things about Sloane-not about me. “What?” frank asked, his eyes on mine. “Then they don’t see what I see,” he said. All the swoon for this scene!!!! Frank Porter = forever my fictional boyfriend. What I especially love abut the quote above is how it reminds you that, like Frank was with Emily, there will always be someone who will appreciate your shine. If not now, then someday. 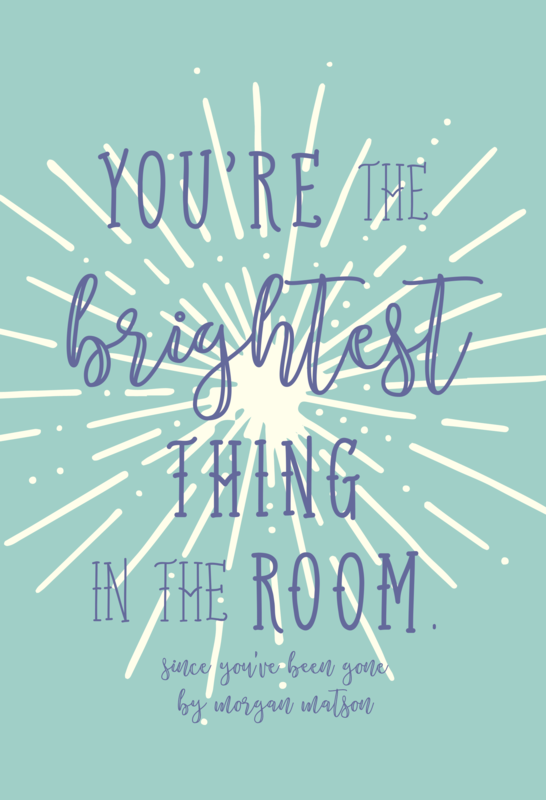 But what matters is that you keep on brightening rooms the way you do just by being you. Since You’ve Been Gone was such a special read for me because Emily and I are so alike and I hope y’all at least have it on your TBR if you’ve yet to read the book. More reasons to check this book out on my review for Since You’ve Been Gone. This is such a powerful quote and I love it so much! 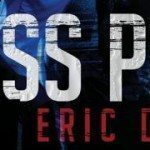 I remember Morgan mentioning this as her favorite line from The Unexpected Everything- even having the quote on a bracelet which was a gift from her editor. 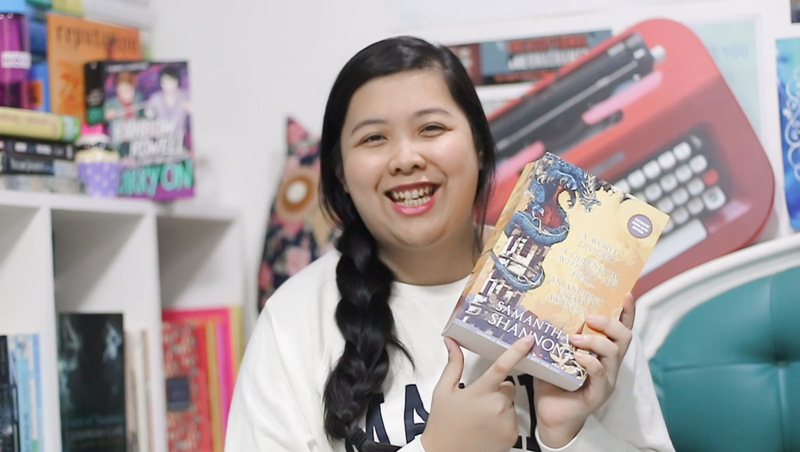 Watching characters in YA books change and become better versions of themselves is an amazing thing to witness as a reader and so inspiring too. 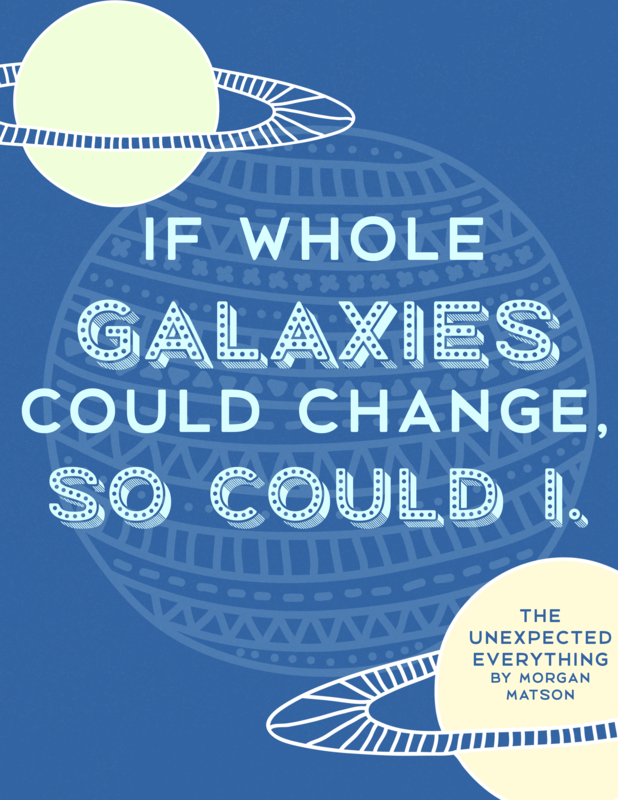 Win a signed copy of The Unexpected Everything + one of these quote posters! Hope you guys liked these quote posters too! 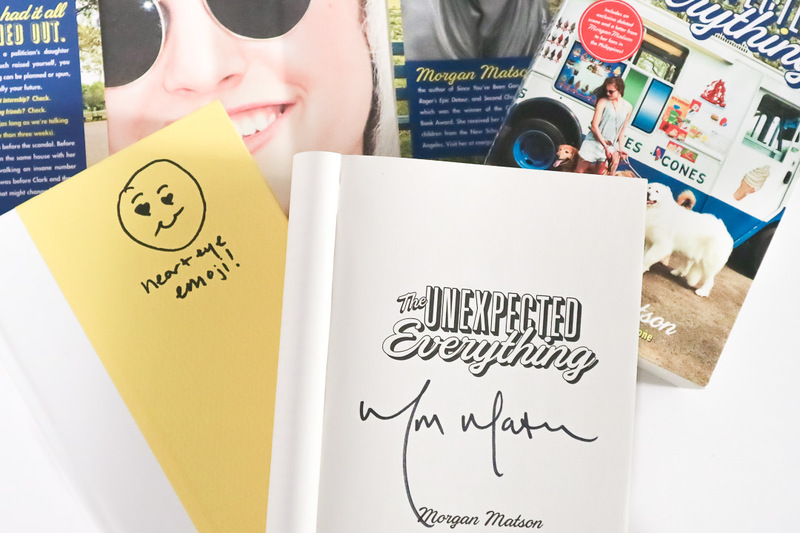 What are your favorite books and quotes from Morgan Matson? Awwww I loved the last one!! And your designs are awesome as always!! Yayy excited to read Morgan Matson’s books! And you’re so good in being a wonderfully sweet person! 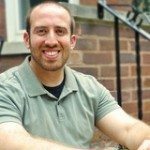 Seriously, thank you! These are so lovely! Since You’ve Been Gone is my favourite of hers but they are all so great! These quotes are just perfect, the galaxy one especially. So great! Thanks for the giveaway! Can I be honest? I’ve never read Morgan Matson before! My favorite book is Second Chance Summer! It made me teary! Everything about her and her dad made me want to cry. But, honestly, I can’t remember the quotes from that book! You always seem to pursuade me to read the books you post about! I’ve always seen Morgan Matson’s book but never really want to pick them up. Now I want to because your art is sooooo cute and lovely and the quotes are just beautiful! I might start with Second Chance Summer because I love YA Contemporary when it has family aspects to it! eeeeeek i love morgan matson! she’s definitely one of my favorite authors ever. my favorite books by her is probably TUE or SYBG (how can one decide?!) and my favorite quote is the TUE one you mentioned. <3333 i adored this post and thanks for hosting the giveaway! + LOVE THE QUOTE CARDS! Morgan Matson is definitely the best of the best when it comes to contemporary. She is really one of the few authors that make me actually LEARN and LIVE through her books. OMG THIS MAKES ME SO HAPPY!!! It’s my fave Matson book of all time!